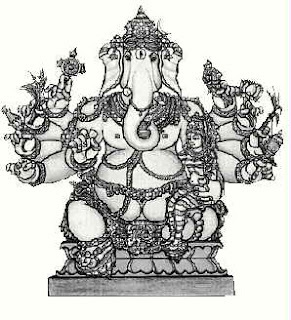 Ganesha s also called Vinayaka - Nayaka means Hero / Leader and Vi means without. There is not further hero / leader to Vinayaka because He is the Supreme! 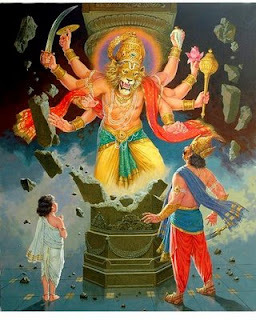 He is one of my favorite deities who responds in a trice to all His devotees, even if they don't ask for help explicitly to Him! 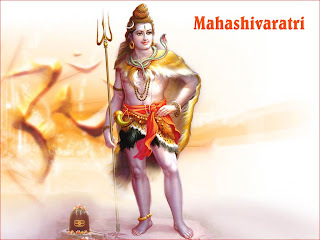 He is considered by many as the primary deity of the Hindu pantheon. I was listening to 'Maha Ganapathim Manasa Smarami' set in Nattai ragam and Rupaka Talam and composed by the Genius - Sri Muthuswamy Dikshitar. In the first line of the pallavi, Sri Dikshitar asks his mind (manasa) to think / remember (smarami) about the (glory of) Sri Maha Ganapathi. Sri Ganesha is extolled to praised by great Rishis like Sri Vashishta and Sri Vamadeva. Oh Mind! Please meditate on the glory of Sri Maha Ganapathi, who is extolled by Sri Vashishta and Sri Vamadeva"
Of all devas, Manmatha / Mara (Cupid) is claimed to be the most beautiful one. But, here Ganesha shines (prakasham) like koti/crore (10 million) Maras! (mara koti) - Sri Ganesha's form should be a delight to behold! Sri Ganesha is also the epitome of peace. Shantam (peace) is His Nature. Sri Ganapati takes a strong liking (priyam) to great literature (maha kaavya) and drama (nataka). May be that's why he volunteered to be a scribe for Mahabharata when Vyaasa was set to compose it. 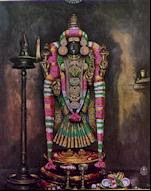 The Big Elephant has a small mouse (mooshika) as his mount (vahanam) - The mooshika was actually an Asura named 'Kayamukhasura' who had the blessing of immortality from Shiva. When the asura turned evil, He defeated Him and changed him to a mouse and made him His Vahanam. Modhakam is a kind of sweet also called 'kozhukkattai' (கொழுக்கட்டை) in Tamil. Ganesha loves this sweet - So, it is traditional to offer this sweet to Him on Ganesha Chaturtthi. I have no idea why this song doesn't have Charanam. May be the experts who know can share it with us all. May Sri Maha Ganapathi bless us all!